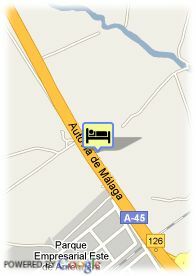 AutovÍa A-45 km 134-136, 29200 Antequera, Spain. Quiet and friendly hotel in Malaga. 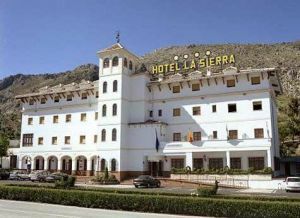 La Sierra Hotel is the ideal choice if you want to enjoy the inner landscape of the district of Malaga. Close to the monumental city of Antequera, it offers 48 comfortable rooms equipped with all the necessary in order to achieve the maximum contentment of the guest. The hotel also disposes of a magnificent restaurant where you can taste the best local dishes. Thanks to the nature surrounding it, La Sierra Hotel allows you to practice extreme sports in the neighborhood. And it is situated next to the Sun´s Coast motorway, the Congress Palace from Malaga and the airport are located at 20 minutes by car. Thanks to its exclusive location, La Sierra Hotel is the perfect place where you can start doing circuits in Andalusia and discover all its wonders. Paid covered parking at the hotel (6.42 €), Reservation obligated.